The promise of content marketing is that it’ll create a magical inbound funnel that drips money into your bank account. **headscratch** Not the case? It's time to avoid content marketing traps and develop your content core. 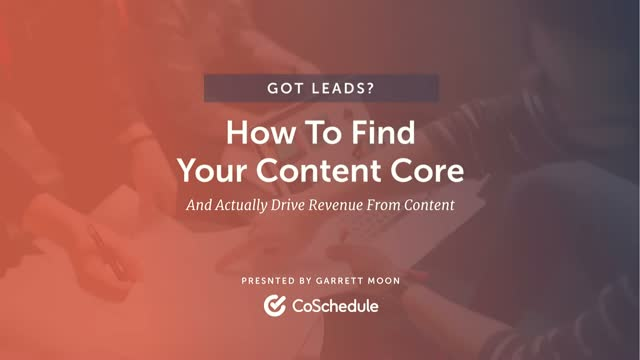 Discover how to ride the fine line between traffic and revenue growth by creating content that actually gains customers. 1. Discover the Content Core formula for developing content that connects the dots between what your customers care about AND the value your business provides. 2. Learn to avoid two big “parallel content” booby traps: The Traffic Trap and The Promotional Trap. 3. Get repeatable steps to research and find your own content core, put it to work, and most importantly, measure results.